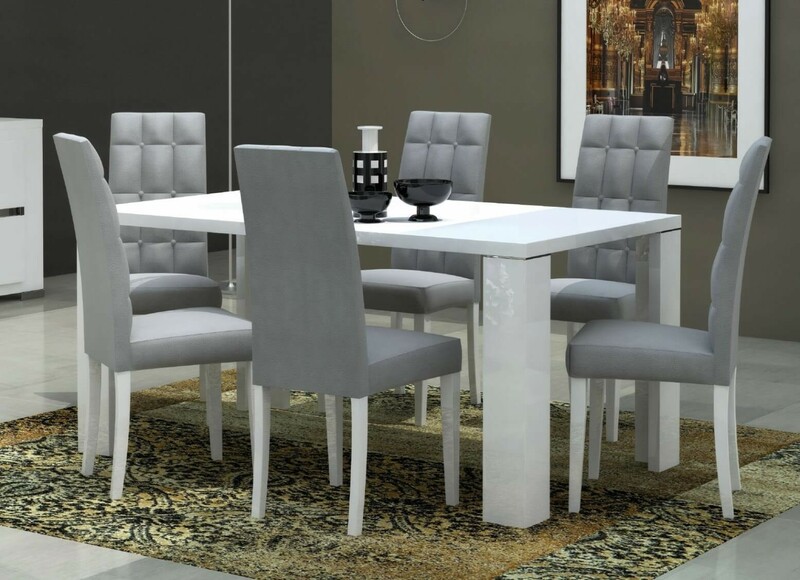 This Elegance Dining Room Collection by ESF Furniture offers a contemporary approach in design with a slight classic flavor. 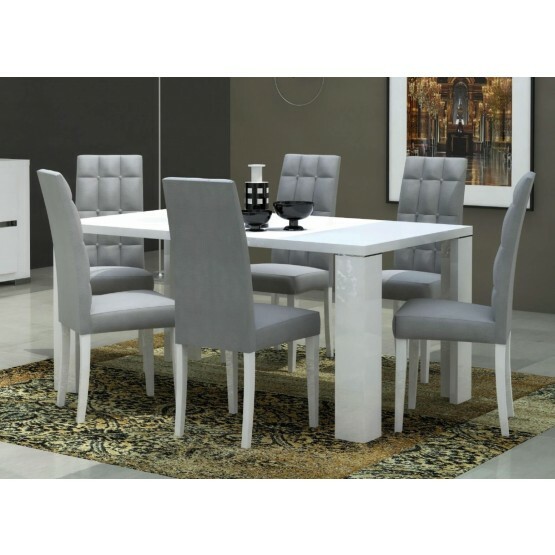 Durable wooden construction combined with rich high gloss finish gives this collection it's ultra modern exterior while the white color of the collection adds a touch of the elegance. W63" - 83" x D35.5" x H30"